THE MOB BOX - Available to order here. Looking for the perfect kitchen essentials? Need to kit out your first kitchen or are the kids off to university? The MOB Box is here to help. With over 20 essential products, from spoons and glasses to plates and griddles, the MOB Box has everything you need to get cooking. Contained within a sleek black box, the contents are made from high quality materials that ensure you're getting the very best for your kitchen. No more shopping around for the right fork or spatula, you can get it all in one place with the MOB Box. 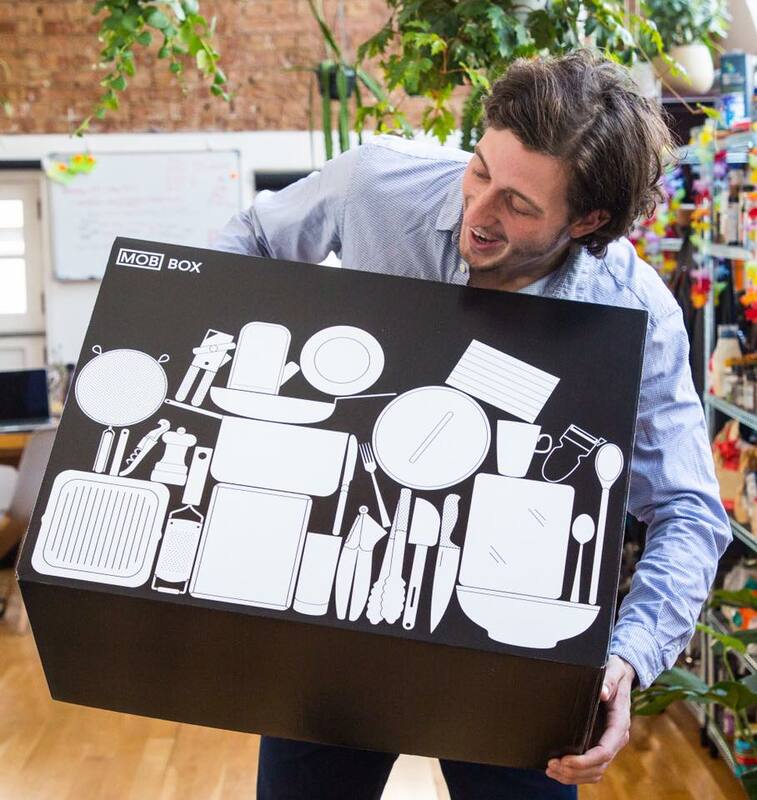 The MOB Box contains 40 products, including kitchen essentials such as a peeler, can opener, spatulas, tongs, grater, baking tray, sieve, wooden spoon, frying pan, saucepan and lid, chopping board, chef knife, skillet, oven gloves and a tea towel, as well as dining essentials such as a pepper mill, cutlery, plates, bowls, mugs, glasses. Get access to exclusive content like member’s only events, fresh recipes and discounts from your favourite brands.